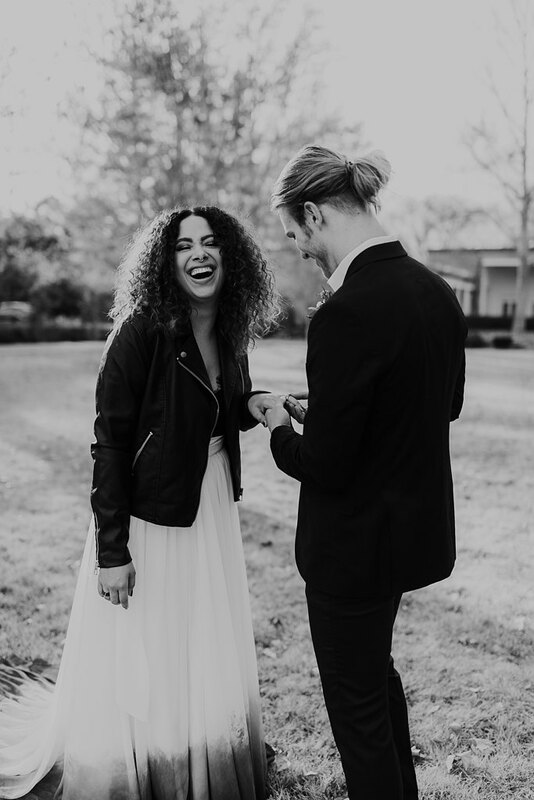 If there’s one thing we love more than elopements, its elopements with a cool, carefree, rocker vibe! 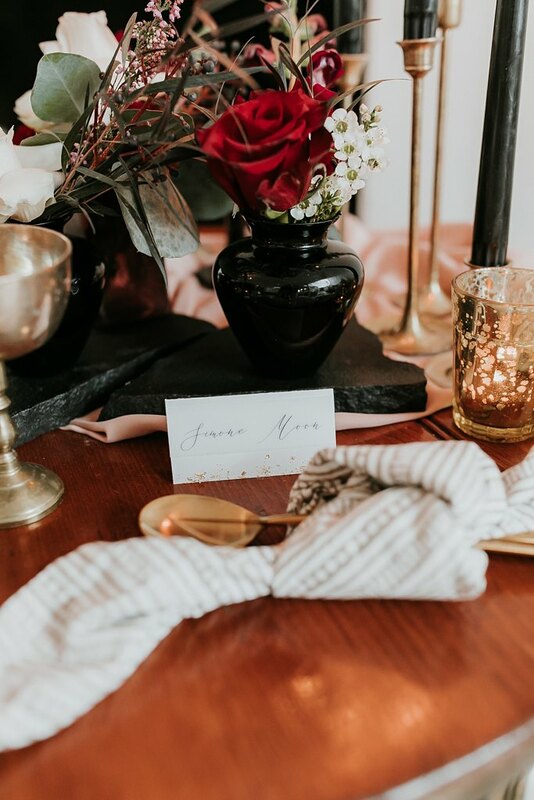 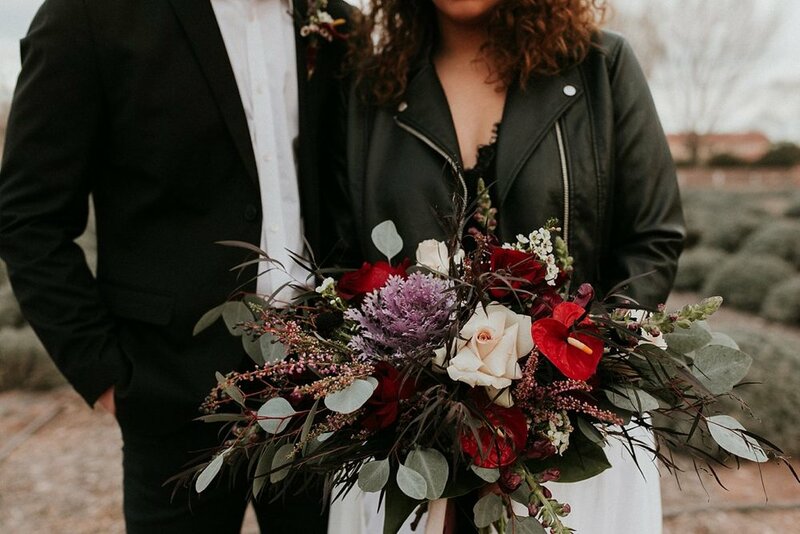 We spent the best little winter day at Los Poblanos with some of our fave vendors to make one a super edgy, wild in love styled elopement. 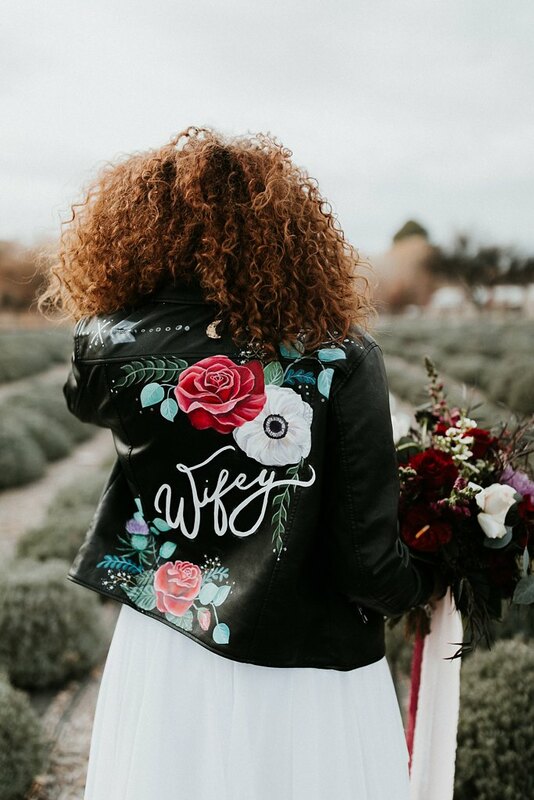 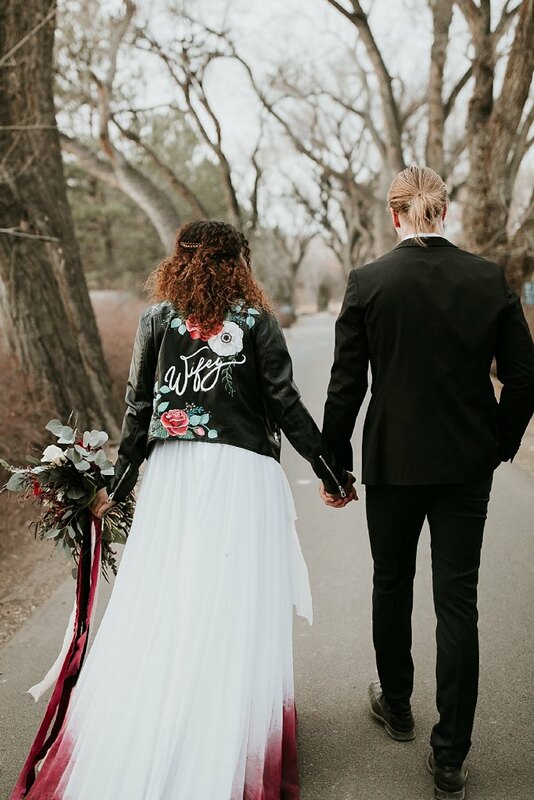 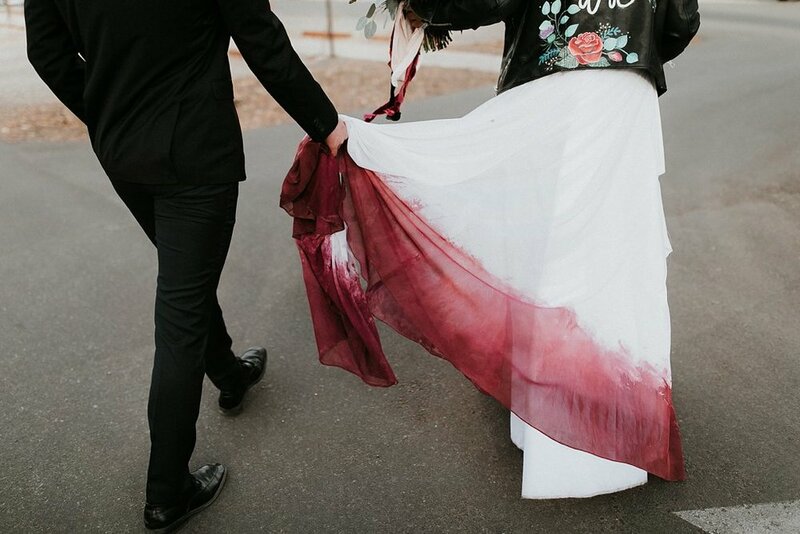 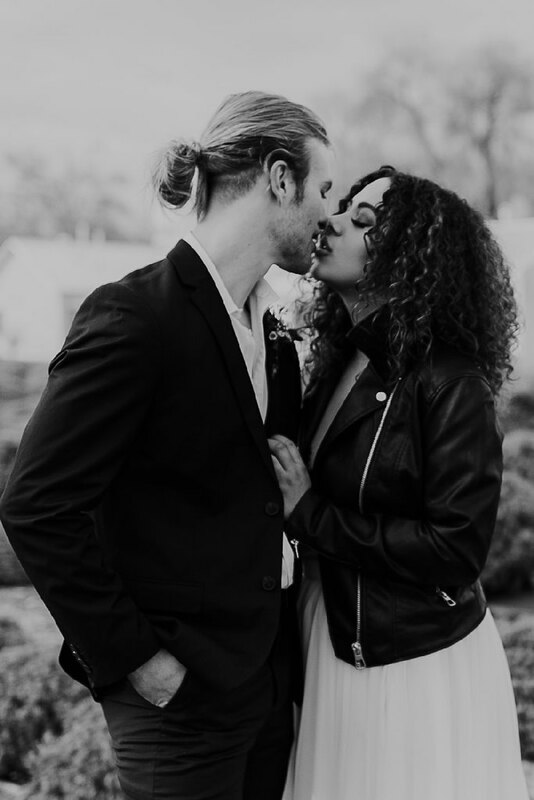 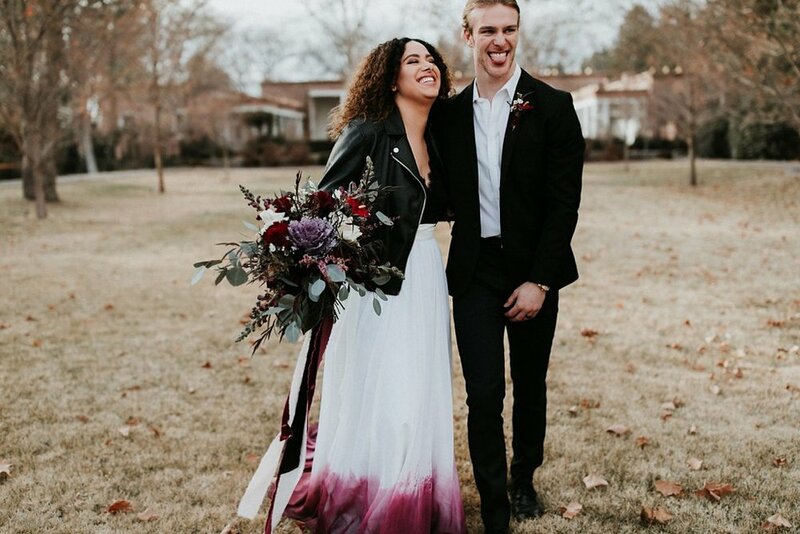 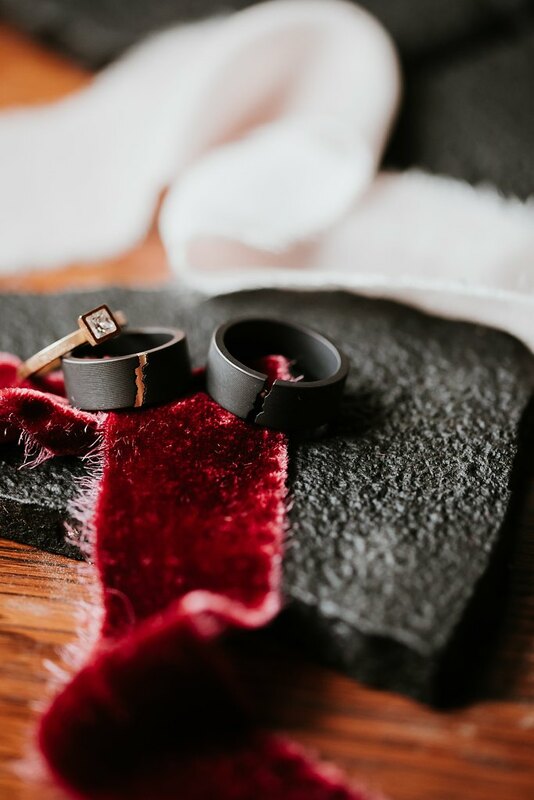 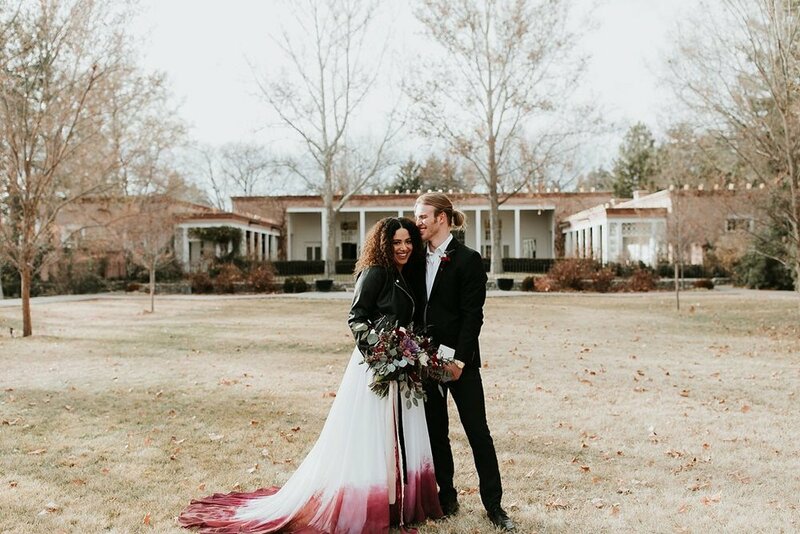 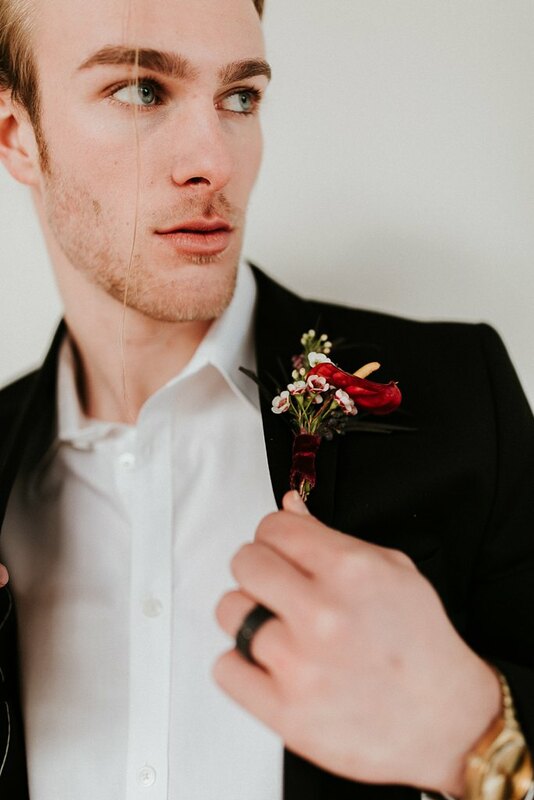 From a handprinted leather jacket to llama wedding cake toppers to endless smolders from our couple, this day was beyond a dream! 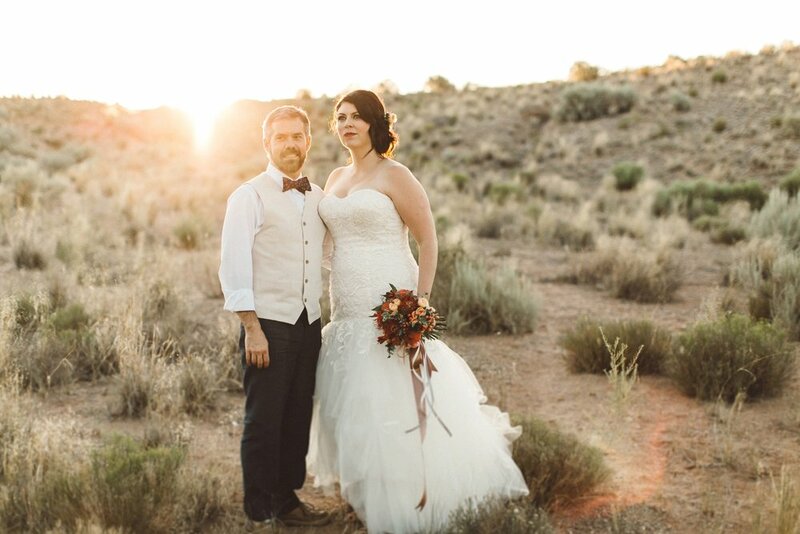 Here’s to hoping for even more wickedly cool days like this one! 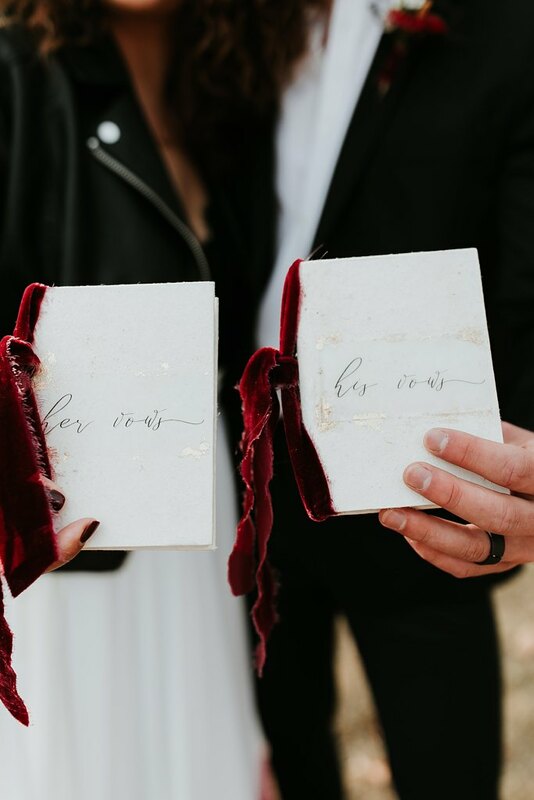 Ribbons + Silks - Honey Silks and Co.
As much as we love the big weddings and the fun energy and big amazing wedding parties they bring, elopements and intimate weddings have an incredibly special place in our hearts. 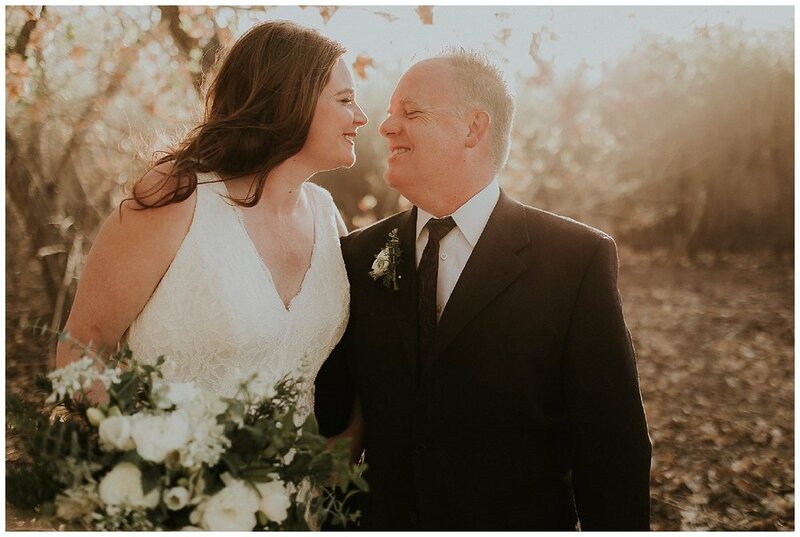 There is something so special about capturing couples as they profess their love and promise their lives to each other with just a few of their closest friends and family. 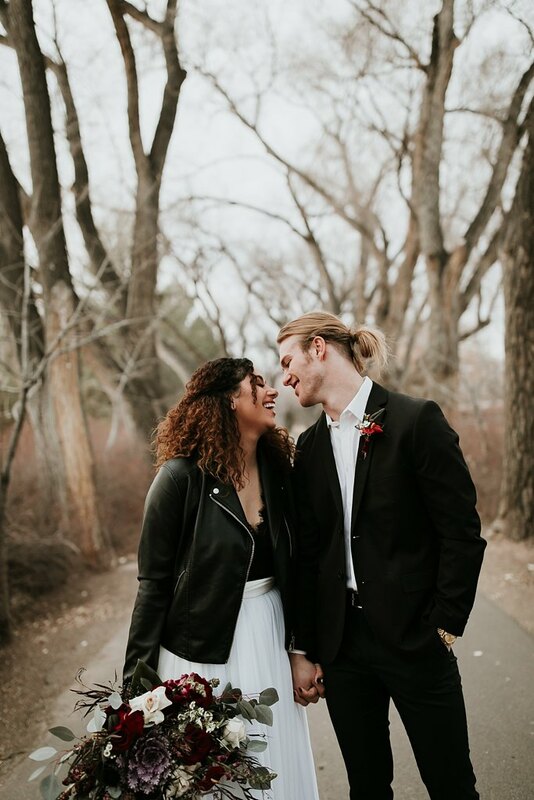 We’re forever living for these organic moments and the couples who ask us to be a part of such incredibly sweet days. 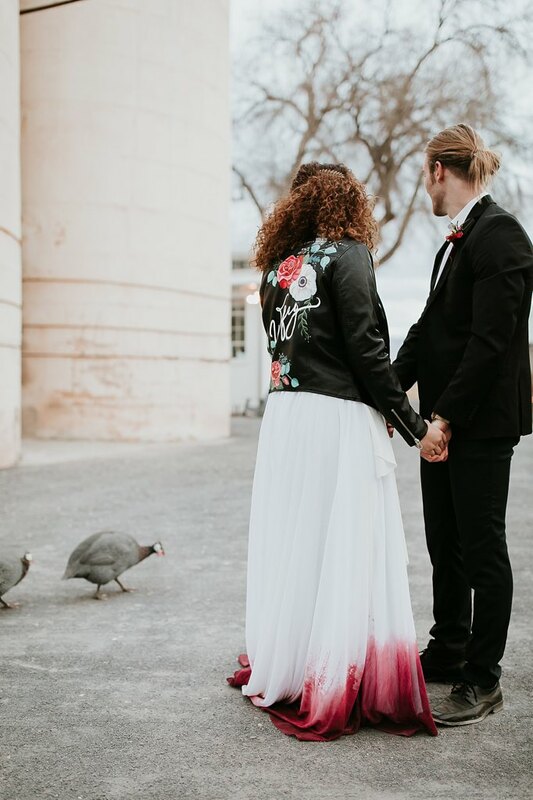 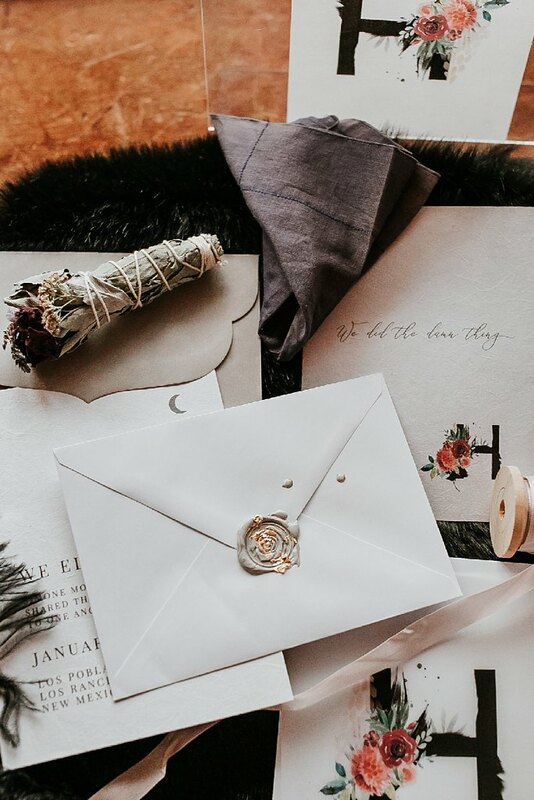 We asked one of our past brides, Mallory, who had a very intimate elopement/wedding, for any advice she may have for couples who are considering a more non-traditional ceremony route. 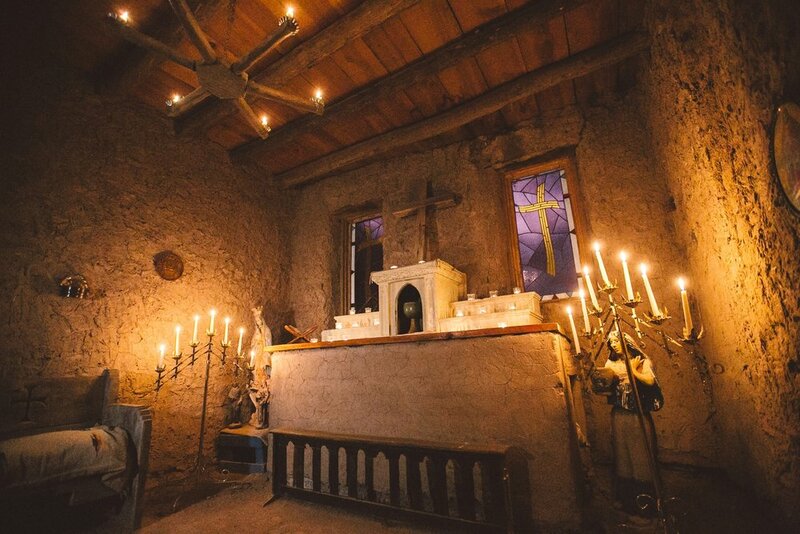 We found ourselves beyond lucky to have wrapped up our 2017 season last year with a beautifully intimate elopement in Eagle Nest, New Mexico! 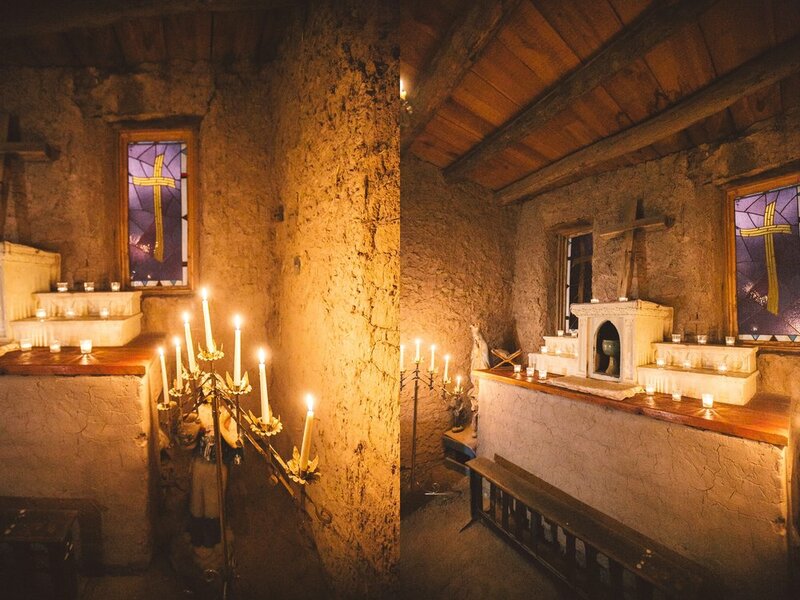 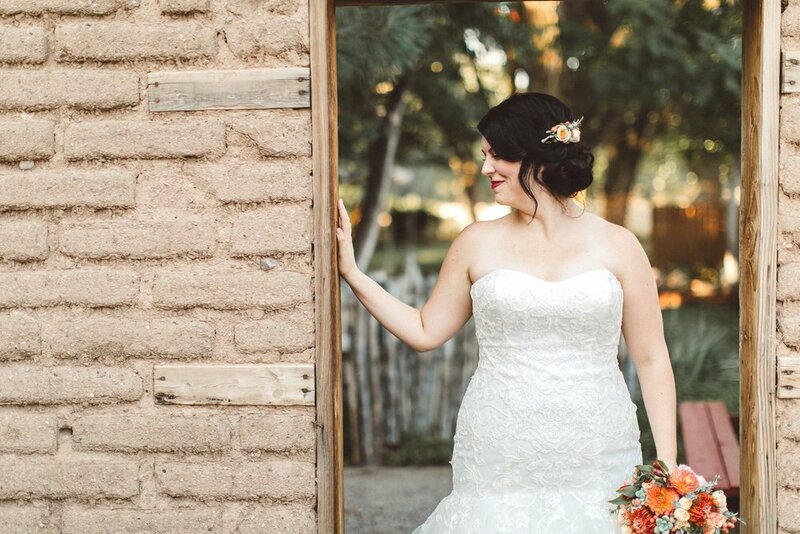 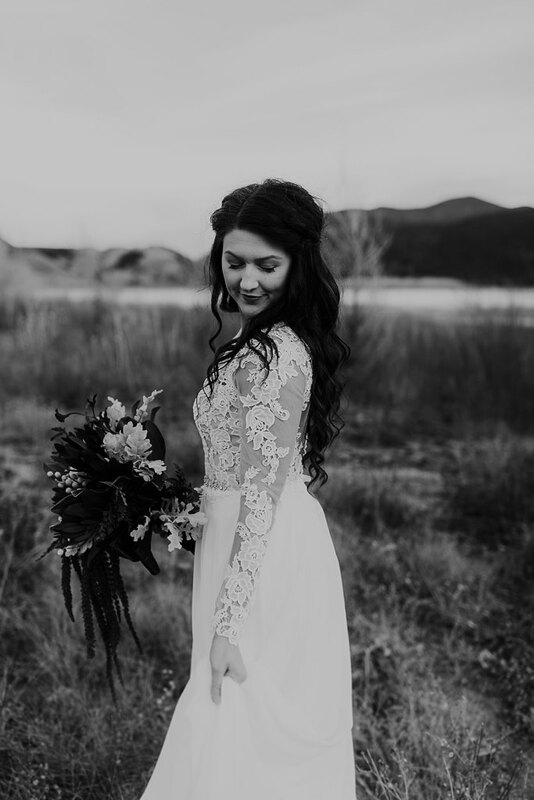 Nestled within the Sangre de Cristo mountains of Northern New Mexico, Boot and Mallory's sweet little mountain church, the Moreno Valley Church of Christ, was cozy, rustic and all around perfect for their boho inspired celebration. 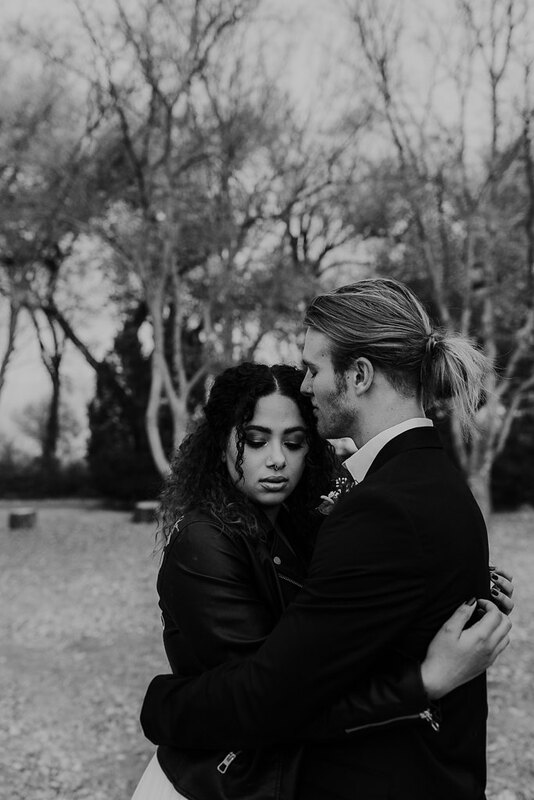 Boot and Mallory, East Texan Natives decided that they wanted a very small ceremony at the church that Boot's family visits every year with only family and super close friends in attendance. 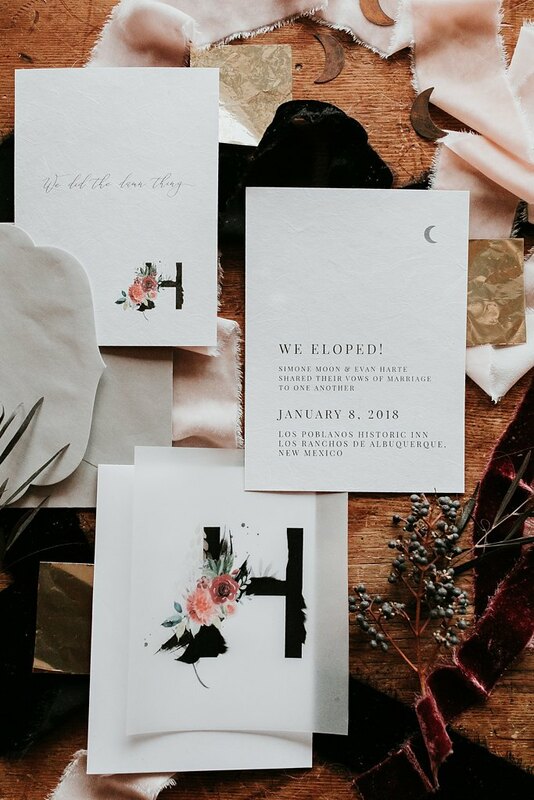 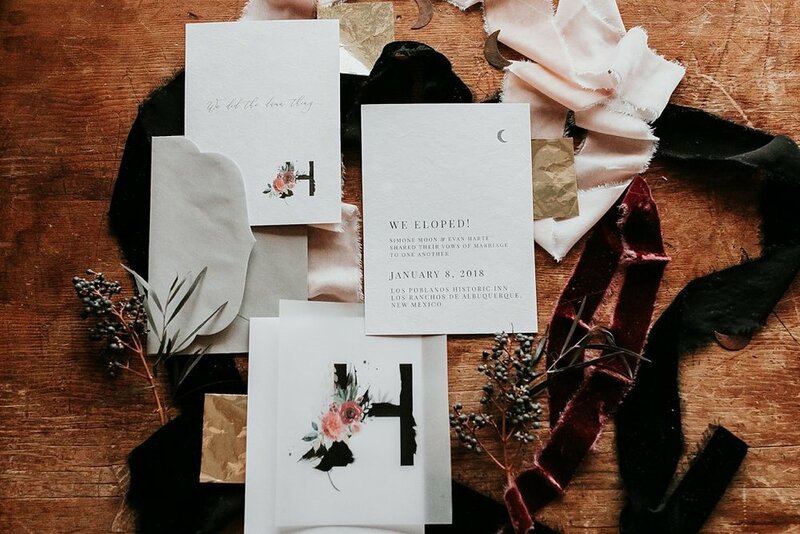 We adored their simple, yet perfectly moody winter florals, and their all around approach to their wedding day, prioritizing family, friends and timeless wedding portraits. 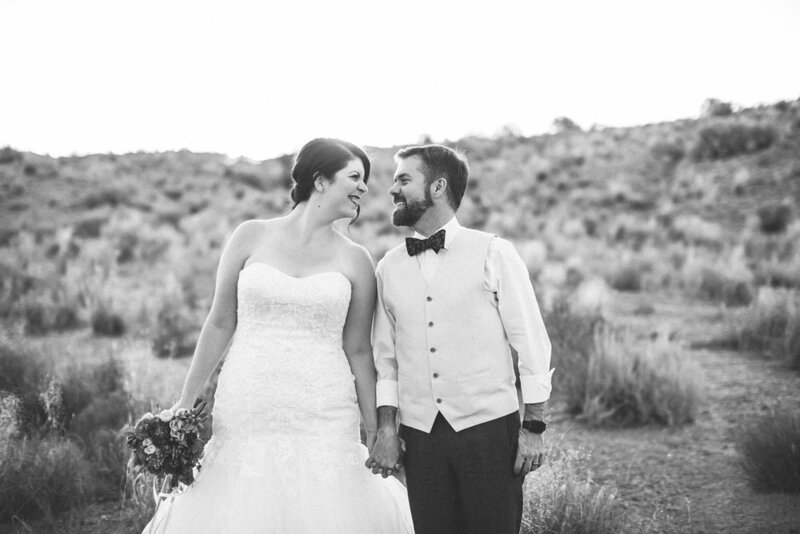 We had the best time capturing these crazy-in-love lovers against that beautiful, mountainous backdrop! 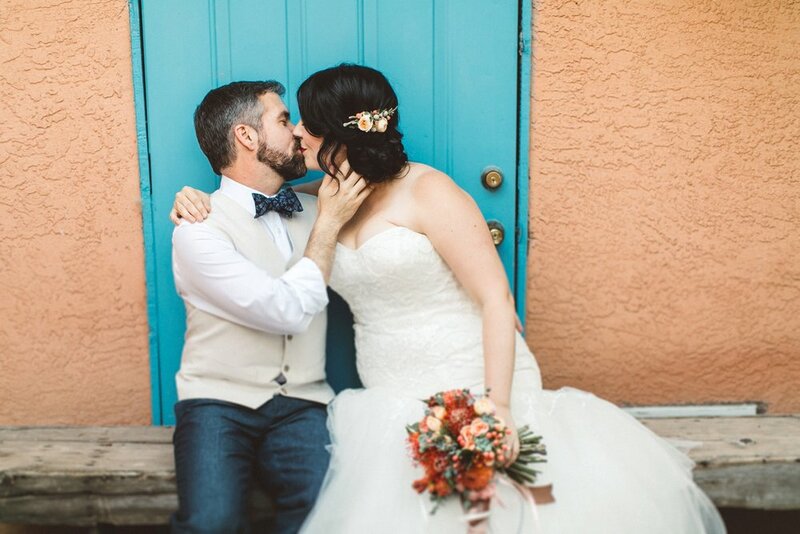 Congrats to one of the most sincerest, sweetest couples around, we SO loved being a part of your celebration. 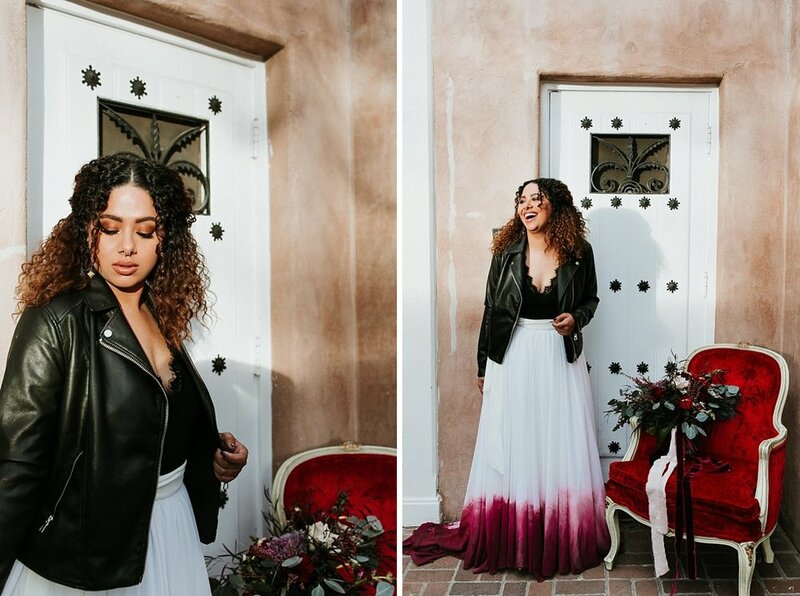 September 25, 2017 Alicia P.
Here's a few from our time with the lovely, Josh and Roushan at the always beautiful Los Poblanos. 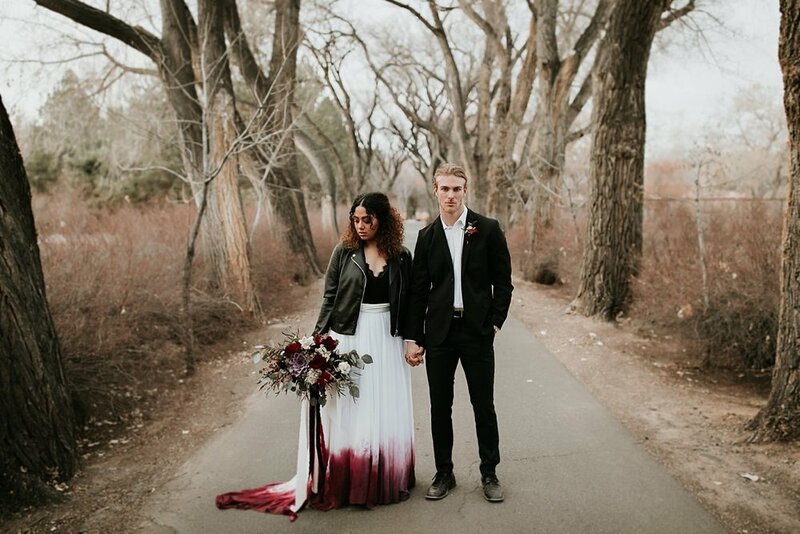 Can't wait for their fall wedding later this year! 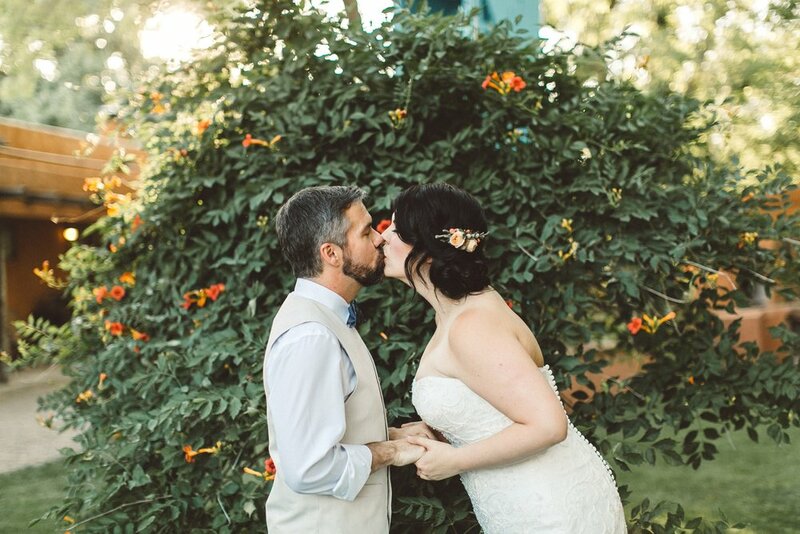 On a calm spring evening, Colin and Sarah were wed in an intimate, candlelit ceremony at Hacidena Vargas. 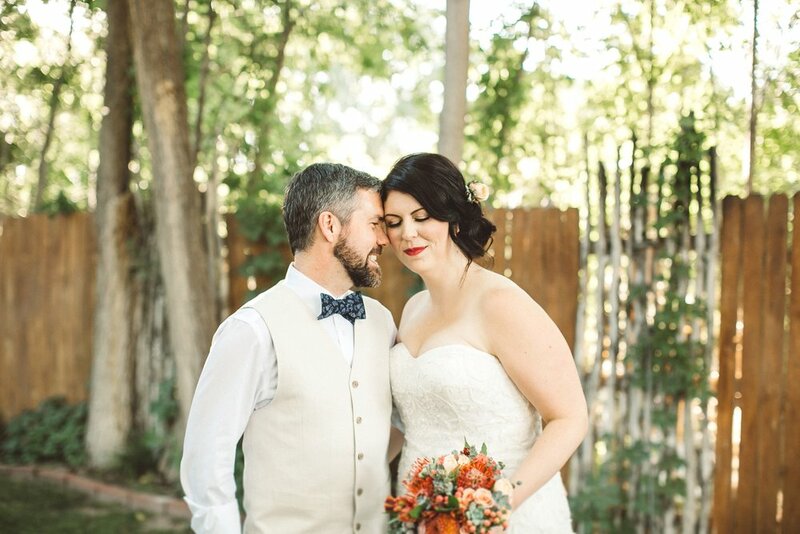 They exchanged vows, shared an absolutely divine cake, and enjoyed their first moments of forever together. 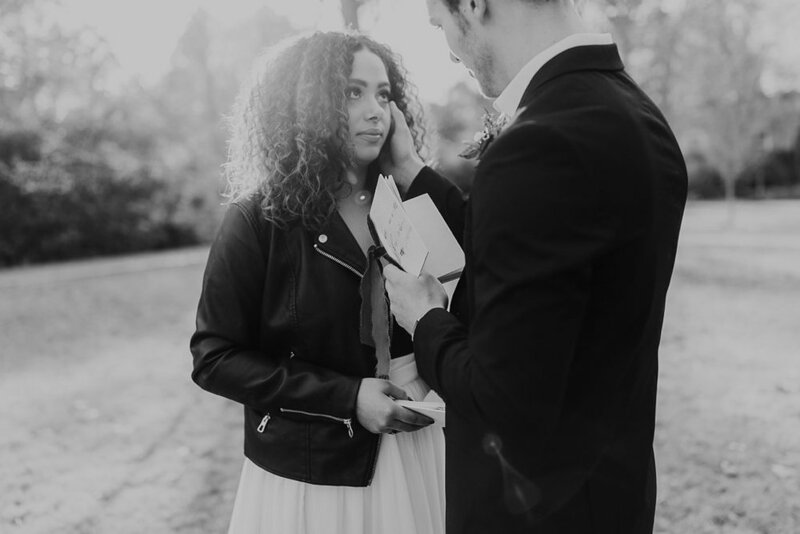 August 25, 2016 Alicia P.
Over the summer we had the honor of photographing this darling elopement. 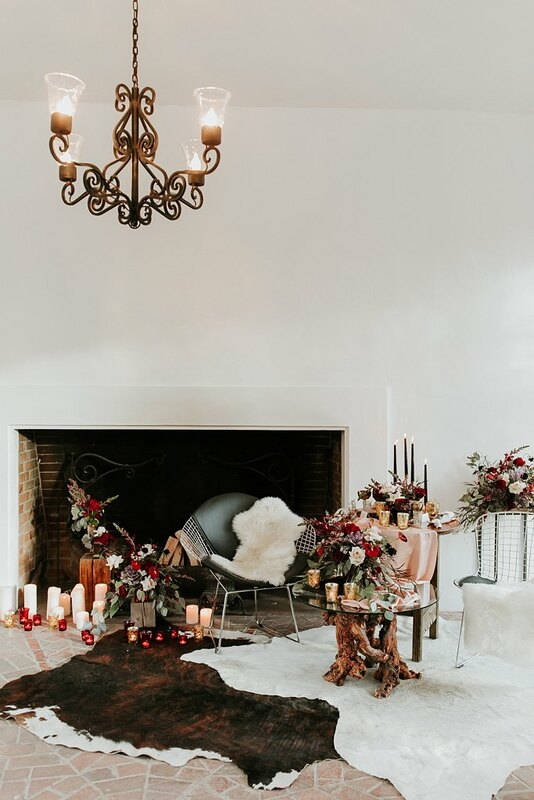 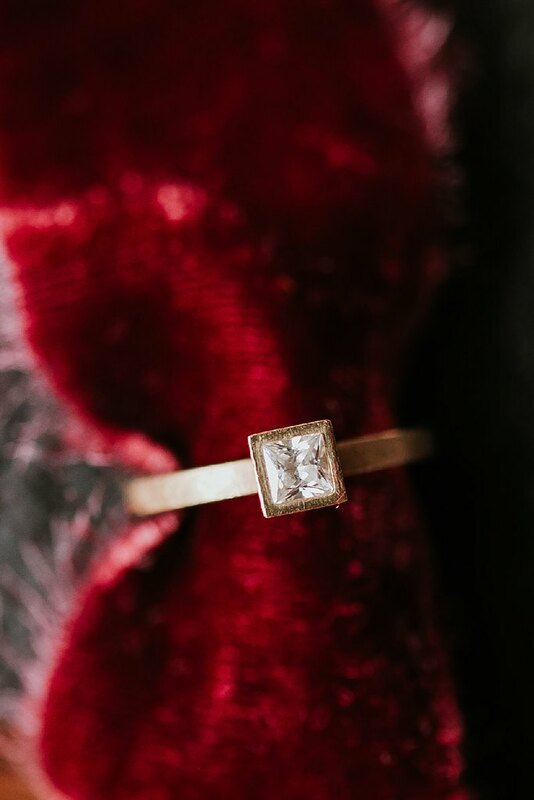 Over a candlelit, intimate ceremony done at the historic Hacienda Vargas adobe chapel, Charlotte and Jacob traveled all the way from the east coast to join together in holy matrimony. 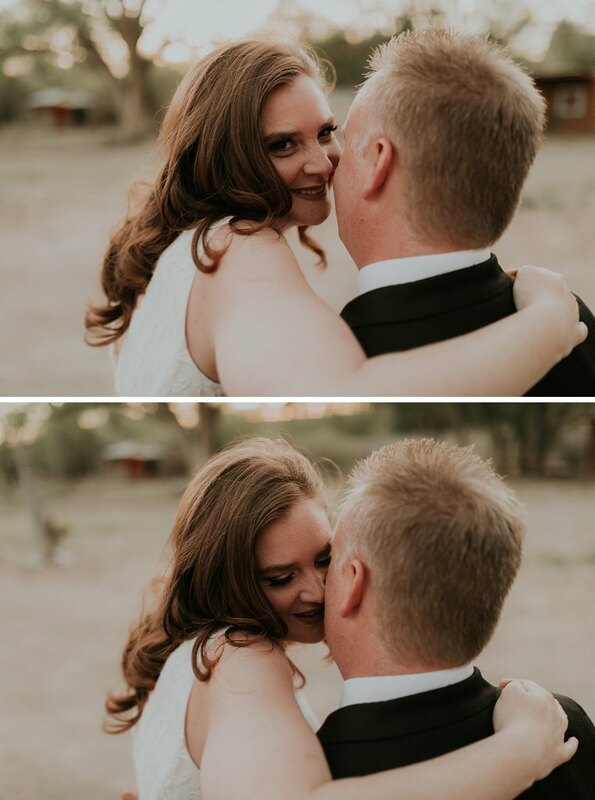 Together with their precious daughter, we had a blast adventuring and taking their beautiful portraits!